It's Election Day, and this year we partnered with OurTime.org, a nonprofit group led by millennials who want to help their generation learn more about politics and understand the issues. Immigration reform, LGBT rights, racial profiling, marijuana legalization and student debt are just some of the issues they discuss in a series of short videos featuring unique and diverse young voices. What motivated you to get out and vote? 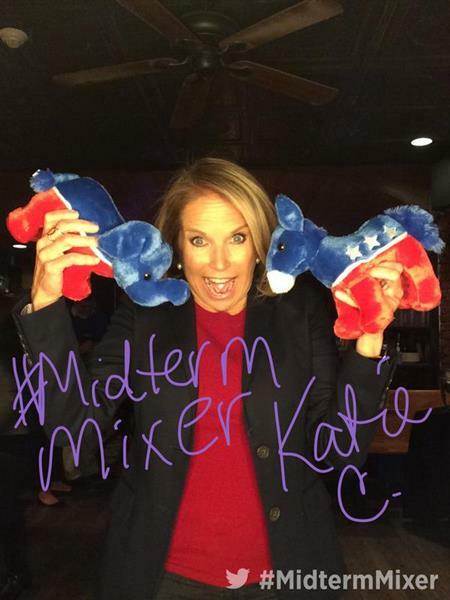 Tweet me @katiecouric with the hashtag #MidtermMixer and tell me the issues that are important to you this year! I want to hear from you! Tonight could be big for the legal-marijuana movement, as voters in Oregon and Alaska weigh ballot initiatives that would legalize the drug’s sale and use. Anchorage news reporter Charlo Greene became the Alaska ballot proposition’s most high-profile supporter when she revealed on air in September that she was quitting her job to advocate for legal pot full-time. “And as for this job ... f--- it, I quit,” Greene said in the video, which quickly went viral. The pro-pot lobby has far outspent the anti-marijuana groups in both states, but polls show the Alaska and Oregon initiatives are too close to call. Florida, meanwhile, may become the 24th state to allow the medical use of marijuana, and Washington, D.C., voters will weigh decriminalizing the possession of marijuana, though not its sale. Washington state and Colorado legalized the drug in 2012. Hello and welcome! I'm going to be hosting this event from the basement of the Capitol Lounge, a bar just a short stagger away from where Congress meets and, you know, doesn't do that much. We'll be taking some of your questions and comments on this Election Night...don't be shy. We'll try to get to a bunch, but can't get to all of them. Fire away. 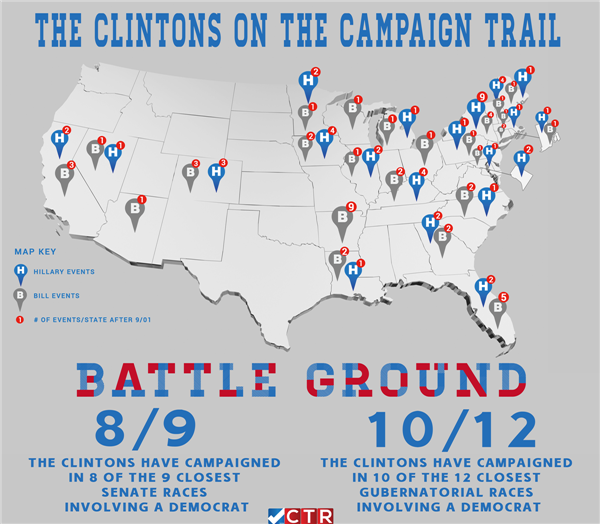 The Correct the Record site, run by the Democratic American Bridge 21st Century group, has gathered up all of likely Democratic presidential contender Hillary Clinton's travels this past year, along with those of her husband. Note the big no-fly zone in the ruby-red middle of the country. 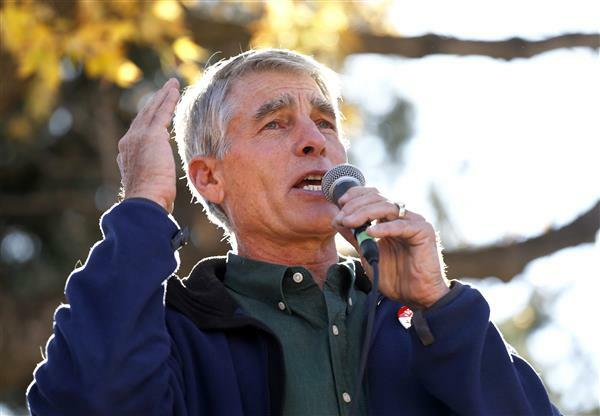 Does Mark Udall still have a shot in Colorado? The short answer is yes. Here's why. But there's more to the story than the polls and early turnout suggest. In 2010, Michael Bennet was trailing in the polls on Election Day—by 3 points, on average. That's more than Udall is trailing by now. Bennet also lost the registration battle by 5.9 points. But he still won the election by nearly 2 points. Could the same thing happen today with Udall? It's certainly possible. Gardner's registration advantage started out at 10 points last week. But then—because Republicans tend to vote early and Democrats tend to vote late—it slipped to 9.2 percent on Thursday, 9 percent Friday, 8.6 percent Saturday, and 7.9 percent on Sunday. It currently stands at 7.3 percent. If Democrats show up and vote today at roughly the same rate as they showed up for Bennet in 2010, Udall could cut Gardner's registration advantage to less than 6 percent. In that case, he would have a chance to hold onto his seat. Udall's people are hopeful. 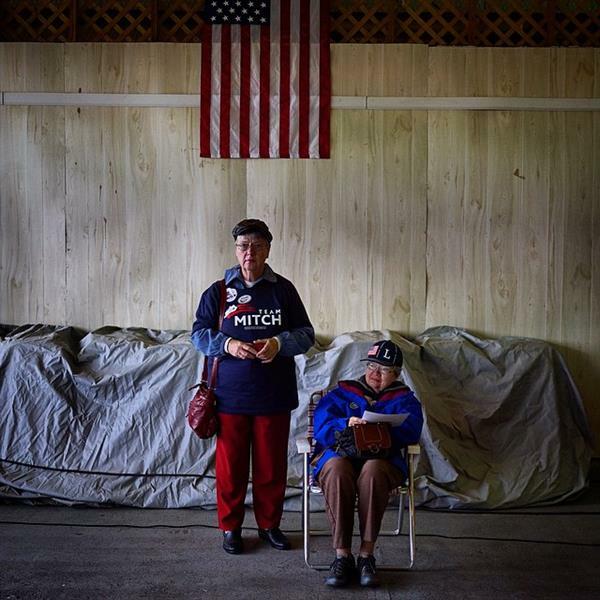 They believe—with good reason—that they have the best ground game in the country; they claim to have knocked on more than 500,000 doors over the last four days. They also believe the public polls are undercounting Latino voters, which has happened repeatedly in the past. But ultimately the actual returns will tell the tale. If tonight's first data dump shows Gardner up by 8 to 10 percentage points, Udall is probably finished. But if the margin is more like 5 or 6 points, grab another snifter of Crooked Stave Surette—we'll be in for a long night. People at the polls here in South Central Illinois tell me that the numbers voting are more like a Presidential Year than an off year election!!!! In answer to Mike White: We are hearing that same (anecdotal) information elsewhere regarding turnout being high. It would be fascinating if that were to hold true all night. Mid-term elections tend to bring out fewer voters, and specifically fewer Democratic voters, than presidential elections. We have a lot of interesting questions and comments -- and we're trying to get through some of them. Have a look at some of the pieces that we're posting below from our correspondents. 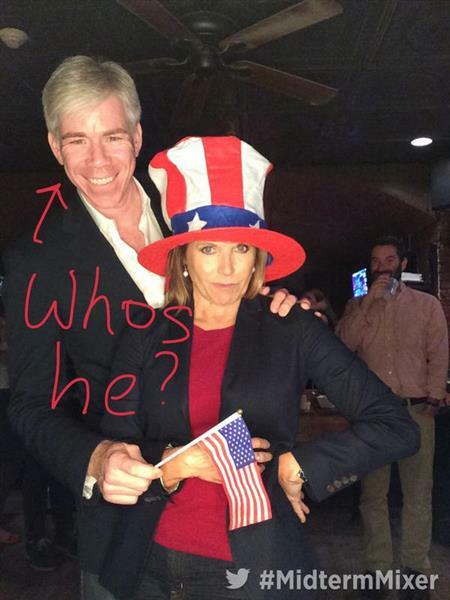 Why doesn't the guy who photobombed or the person who posted or BOTH get into a little bit of electioneering trouble? They make people stand outside away from the polls, make a guy take off an NRA hat, make people discard flyers...so why is this apparently OK? 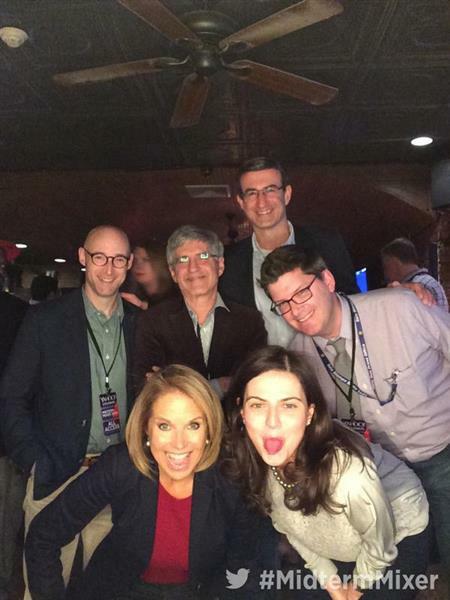 The photo bomb was removed as it should have. TACKY and illegal action by this random guy. 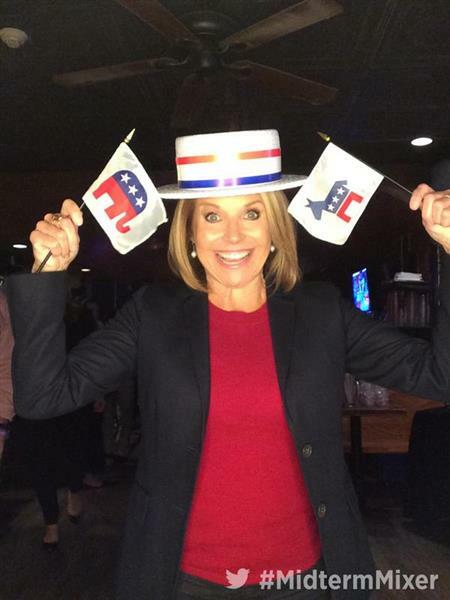 This is not the place to display political affiliation. Save it for the ballot, buddy! No voted should ever feel coerced or intimidated...even those running for office. Kentucky: State law bars people from using a "paper, telephone, personal telecommunications device, computer, or other information technology system to create a checkoff list or record the identity of voters." While the law doesn't specifically address using cell phones for other purposes, in 2008, then-Secretary of State Trey Grayson (D) said voters were not allowed to bring cameras and recording devices into polling places. Verdict: Ballot photography banned. Polling place photography banned. Regarding the photobomber behind Republican Senate Minority Leader Mitch McConnell (whose title might change come January): Several commenters have suggested that what he did was illegal. I'm fairly sure that you can get into trouble for using an electronic device at the polling place (no selfies with ballots in something like 35 states, if I recall correctly). But if the picture and video came from news media footage (which is common when high-profile candidates vote) that doesn't trigger the same issues. I'm not sure what trouble he'd get into for his display of disapproval. I bet local news outlets are trying to find out who the Thumbs-Down Guy is. 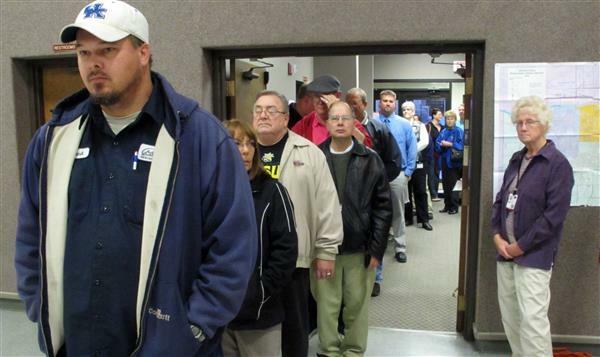 The 2014 midterms will be the most costly nonpresidential election ever. 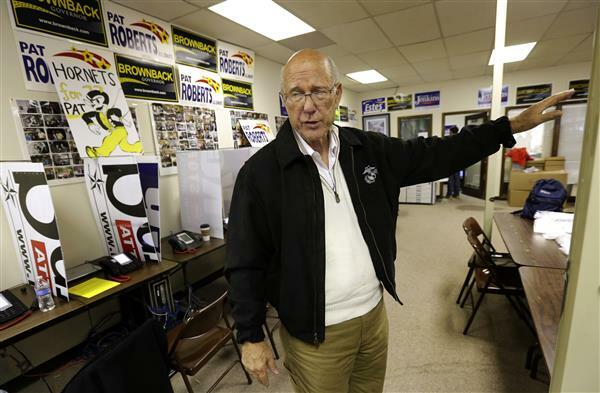 The 10 most expensive Senate races alone will exceed $700 million. For context, Yahoo News asked, what could that money buy a person? Try three and a half years of the current New York Yankees roster or 58 and a third 2014-vintage Derek Jeters. A slew of legal decisions over the past four years that loosened restrictions on outside group campaign contributions has opened the spending floodgates. Through Nov. 1, outside groups had spent more than $498.7 million on Senate races and $283.1 million on House races, according to data compiled by the Center for Responsive Politics. to 13 percent. Consider that nearly two thirds of the American electorate is expected to be women and/or minorities in 2016. 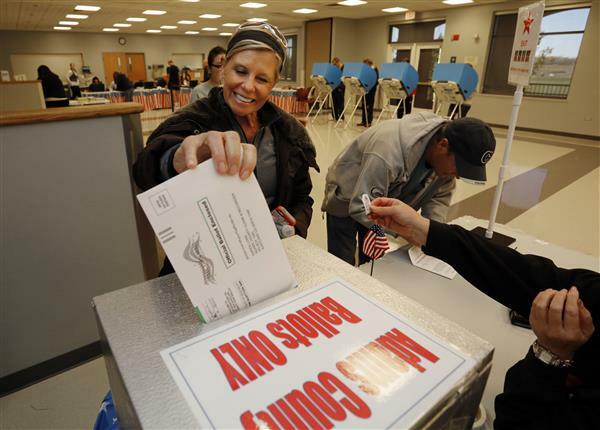 Will voter rules cause havoc in Kansas Senate and governor races? Two of the most closely watched races in the country are happening in Kansas, where a pair of prominent Republicans are in a tough fight for their political survival. 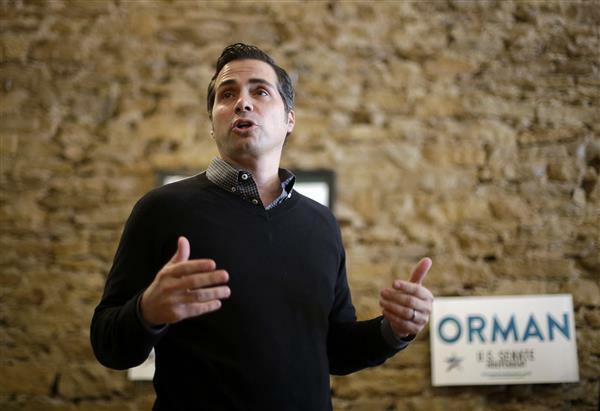 GOP Sen. Pat Roberts is locked in a dead heat with Greg Orman, a former Democrat who is running as an independent, and Gov. Sam Brownback is fending off a stronger-than-expected challenge from Democrat Paul Davis. But with both races expected to be tight, there’a a chance we might not know the outcome tonight because of a strict new voter-identification law that could force some Kansas residents to cast a provisional ballot that would be counted later. The law, which went into last year, requires voters to show photo identification at the polls — which prevented some senior citizens from voting in the state’s primary elections because their IDs were rejected. Meanwhile, more than 21,000 people may be blocked from voting at all because of a new provision that requires voters who registered after 2013 to provide proof of citizenship. The law was championed by Kansas Secretary of State Kris Kobach, a Republican known for his work on anti-immigration measures, who argued that he wanted to prevent non-American citizens from canceling the votes of actual Kansas residents. But critics say it is suppressing voters. Of those who hadn’t yet proved their citizenship, 12,327 were independents, according to the Wichita Eagle; 4,787 were Republicans; and 3,948 were Democrats. Meredith Shiner's post illustrates how the biggest winner's in this year's elections will be the advertisers. Meredith, which politician is the worst campaigner you saw up close this year? What about ever? @MarkSanford: Of all the campaigns I saw in 2014, I think Democrat Mark Udall in Colorado seems to be running the worst race. I witnessed a Denver Post debate where one of the moderators referred to him as "Mark Uterus" because of all of the abortion rights ads he has run since April. It's a catchy (and mildly icky moniker) but I think it underscores the frustration Colorado voters feel about the overwhelmingly negative, single-issue campaign he has run when Coloradans seem to want a larger discussion on a broader range of issues important to them. 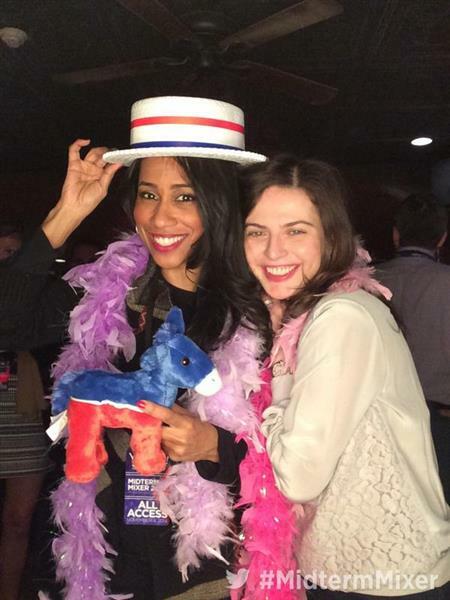 @meredithshiner hearing reports of high city turnout in KY. How would a lame duck look with R's coming into power without McConnell? Hi Zach! This is a great question. I think that McConnell being ousted might have some effect on the lame-duck session — it's always a shock to the political system when a leader goes down — but, to me, the most significant X-factor on the productivity of a lame duck is the potential for dual Senate runoffs in Louisiana and Georgia. One of the reasons Congress has been so ... pardon my pun ... lame in regular session is that leaders are fearful of giving any legislative leverage to their opponents. The fewer votes there are, the less ammunition anyone has for political attack ads. If two Senate seats are still undecided, and more complicated yet, the majority is not decided, politicians in Washington will be especially cautious. They won't want to swing those two races one way or another. Also look for the White House to hold off on any controversial executive orders (think: immigration) until voters in those two states have picked their senators. 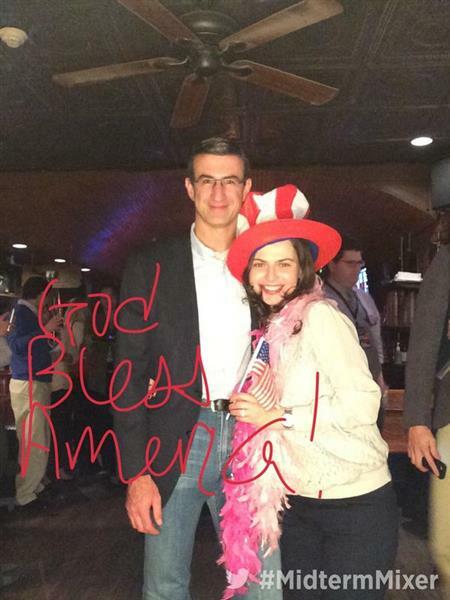 The Louisiana runoff is Dec. 4. Georgia is Jan. 6. Thanks for joining us in our midterm elections live blog. Keep those comments coming. The mood of the nation is not good. Hey there! 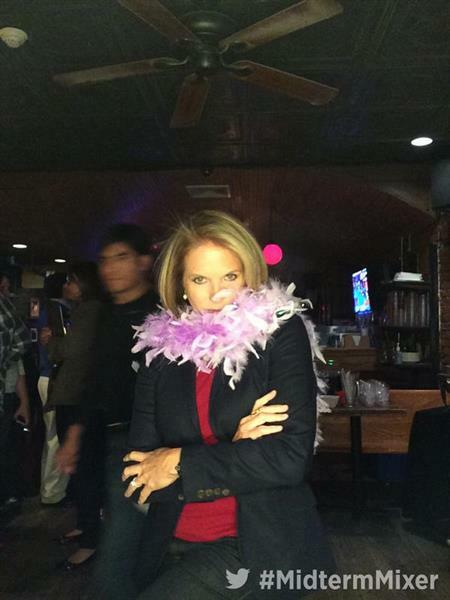 Here is a handy @YahooNews guide to your midterm night from me and the delightful Andrew Romano. Thanks to the foresight of our editor, Garance Franke-Ruta, it includes poll closing times! Also: beware. Cable news outlets likely will start posting exit polls earlier in the evening and these are not the same as final vote tallies and have a history. Exit polling is notoriously shady, but sometimes it does provide a valuable snapshot of where any given electorate is over the course of the day. While many pollsters are predicting Tuesday will be a big night for Republicans, some of the most high-profile ballot initiatives voters will weigh in on are decidedly liberal. Among the 146 ballot proposals and initiatives voters in 41 states will consider Tuesday are nine that would legalize marijuana and raise the minimum wage. 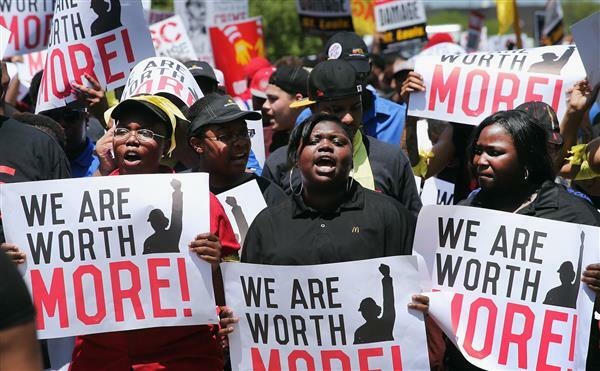 Four red states—Alaska, Arkansas, Nebraska, and South Dakota—have measures on the ballot to lift their minimum wage above the federal level of $7.25, a key priority of President Barack Obama's that he has failed to push through Congress. In Illinois, a non-binding ballot initiative will solicit voters’ opinions on raising the minimum wage to $10. Rapper Kanye West weighed in on the 2014 midterms this evening, easing his way into a call for voter participation with a humble brag about meeting with President Obama. 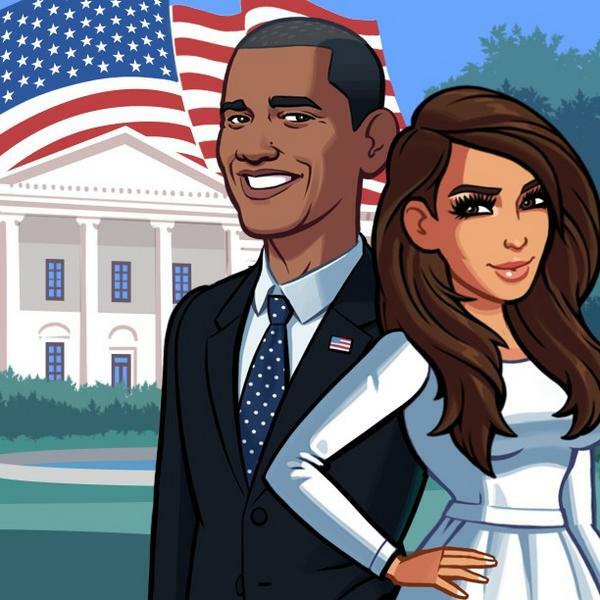 West's wife, Kim Kardashian, tweeted yesterday that she was "standing w Obama in the midterm election." 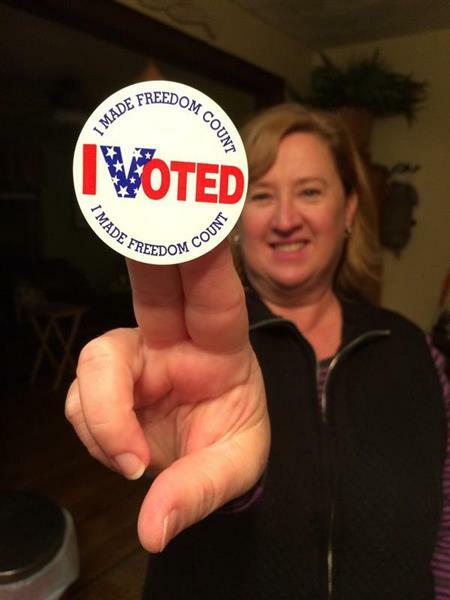 It's been two years since the 2012 election, but a few voters in Connecticut were surprised to see President Barack Obama's name on their ballots on Tuesday. 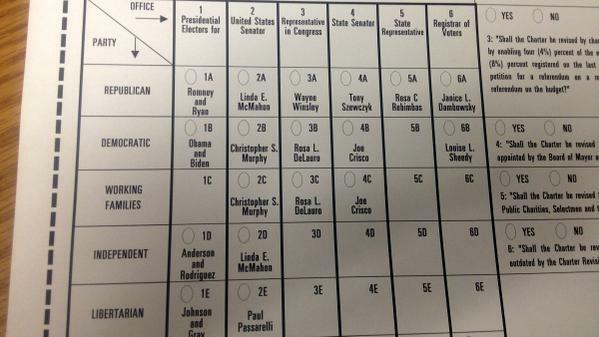 At Maple Hill Elementary School in Naugatuck, Conn., at least three voters mistakenly received 2012 presidential ballots, NBC Connecticut reports. Poll moderator Chris Kuczenski said that two packages of 2012 ballots were not properly recycled at the polling center. The mistake was quickly noticed and "not one person" cast a vote using the old ballots, Kuczenski said. "The ballot would not have gone through the machine," he added. Polls in Kansas closed an hour ago, and both the Senate and gubernatorial races remain too close to call. “Close as s—t,” a Democratic source told Yahoo News. Per the Kansas Secretary of State’s office, which has a constantly updating feed of election results, GOP Sen. Pat Roberts has maintained a narrow lead over independent Greg Orman. In the governor’s race, Democrat Paul Davis has maintained about a 2,000-vote lead over incumbent Republican Sam Brownback,with more than three-quarters of precincts voting. Incumbent Sen. Mark Warner (D-VA) continues to trail Republican Ed Gillespie, down 51 to 46 percent with 77 percent of the vote in. If Gillespie somehow pulls this out, it would be probably the shock of the night. The problem for that scenario is that Fairfax County and Arlington County both have the bulk of their votes to report, and they are both projected to deliver big advantages for Warner. The New York Times Upshot is projecting a 1.8 point Warner win. 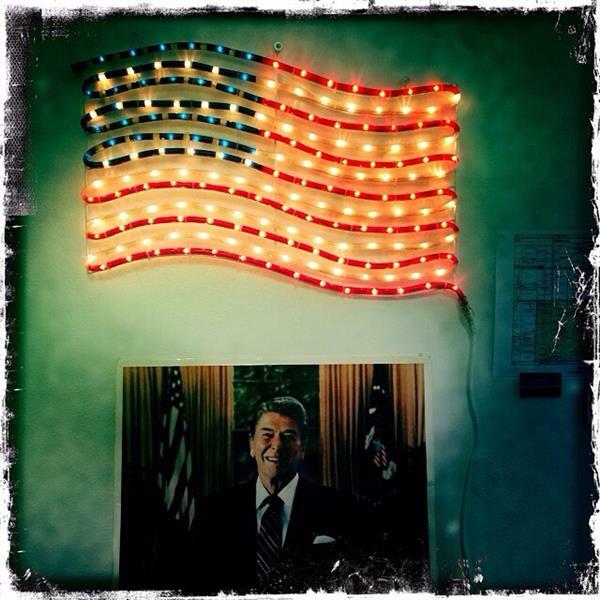 Here's how things went for Republican Mitt Romney in 2012 against President Obama. He had a big lead too early, before seeing it evaporate late. Nonetheless, this is one of the races that will get a lot of after action examinations to see why it was so much closer than the public polling, which had Warner up double digits. “The President has invited bipartisan, bicameral congressional leaders to a meeting at the White House on Friday afternoon. We’ll have more details later this week,” a White House official says. BREAKING: Republicans on track to keep control of House if remaining incumbents win as expected. The campaign of embattled Senate Democratic incumbent Mark Udall informed reporters in a statement released Tuesday evening that the Udall campaign is not worried about his election. The statement heralded "historic voter turnout" in Colorado, while providing no specifics on which party's voters actually comprised the majority of that turnout. "With voters across Colorado still waiting in line to cast their vote, it is clear that it will take hours to count all the ballots. It's also clear that, as long as ballots are being counted, Democrats will be gaining vote share all night long. This election has seen historic voter participation and our army of volunteers turned out thousands of new voters today alone. 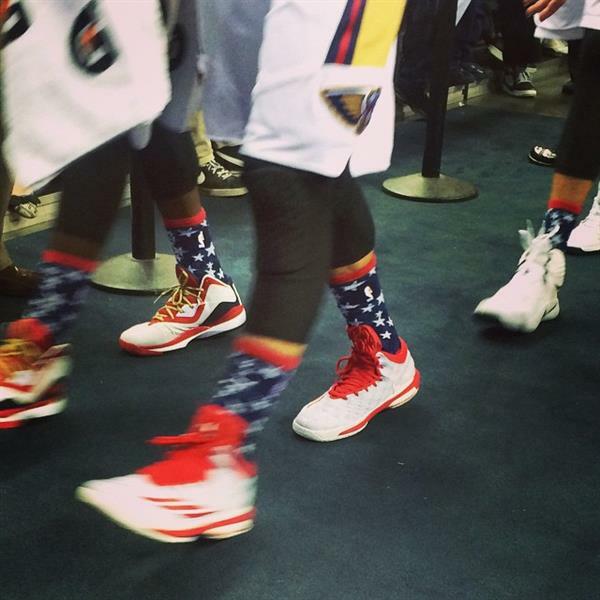 As we settle in for a long night, we remain confident in our path to victory." Only time will tell if the statement proves true — if Udall wins — or whether such Election Night bluster is a classic case of "Methinks the lady doth protest too much." BREAKING: Louisiana Senate race headed to runoff election in December. In a race that featured four political rookies, Republican Ben Sasse breezed to victory in the election for Nebraska's open Senate seat. With 10 percent of the state's precincts reporting, Sasse grabbed more than 60 percent of the vote. Democrat Dave Domina, an Omaha attorney, had 34 percent. Independent candidates Jim Jenkins, a rancher, and Todd Watson, a Lincoln, Neb., businessman, each had less than 3 percent. 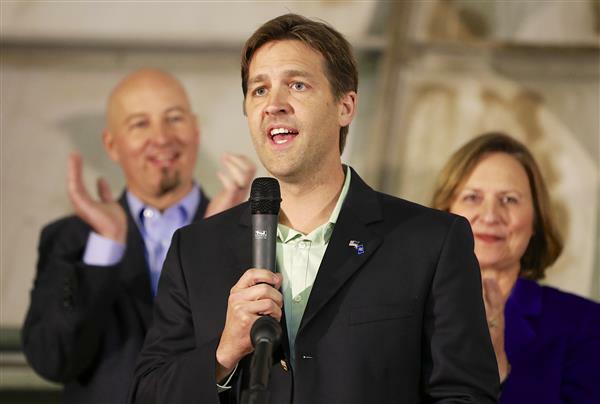 Sasse, the 42-year-old president of Midland University, succeeds Republican Sen. Mike Johanns, who is retiring after one term. "When Sasse formally announced his candidacy 13 months ago, he billed himself as the 'anti-Obamacare candidate,'" the Omaha World-Herald said. "Three months later, he was featured on the cover of National Review magazine as a rising conservative star." The headline: "Obamacare’s Cornhusker Nemesis." "His résumé suggests no shortage of ambition. He studied at Harvard, Oxford, and St. John’s, then earned a Ph.D. from Yale. His dissertation won the Theron Rockwell Field and the George Washington Egleston Prizes. The dissertation is a treasure trove of forgotten history relating to the populist backlash surrounding the Supreme Court’s school prayer decisions in the 1960s. More broadly, it’s a sophisticated and brilliant dissection of how a lot of the standard liberal narratives about American political realignment in the last 50 years are woefully incomplete at best and self-serving fictions to attack religious conservatives at worst." When Colorado's Democratic legislature passed a law two years ago that changed the way their state would vote — everyone now receives ballots in the mail, which they can either send back or return in person — the idea was that it would help Democrats win elections by increasing turnout among the poorer, younger, browner, more Democratic voters who tend not to vote as routinely as their richer, older, whiter, more Republican counterparts. But the plan may have backfired. Early data is showing that there was a 100,000 jump in voters age 65 or older between 2010 and this year—and 2010 was a senior-heavy year. If those numbers hold, the Centennial State's new vote-by-mail law could be the reason: the Colorado Republican Party made "a key strategic decision to invest heavily in a huge direct mailing sent out two months before Election Day." Here's how it works: Granny gets a mailer from the GOP at the same time she receives her ballot. Granny remembers to vote. And Granny usually votes Republican. The Udall field operation is three times as large as the last Democratic senatorial effort in Colorado, and it very well may have boosted Democratic turnout this cycle. But if the vote-by-mail law also brought more senior citizens into the fold, then the Democrats' best-laid plans were all for naught. As the old adage says: Be careful what you wish for—you just might get it. Florida will not become the first state in the South to legalize medical marijuana, as voters rejected a ballot proposal to legalize the drug. The ballot initiative fell short of the 60 percent of the vote needed to make cannabis legal in the state with 90 percent of precincts reporting. About 57 percent of Floridians backed the measure, which attracted millions in spending on both sides of the issue. Voters in Alaska, Oregon and Washington D.C., are also weighing pot legalization initiatives Tuesday, but those results are too early to call. Twenty-three states allow the use of medical marijuana, and two states — Washington and Colorado — allow its sale and use. 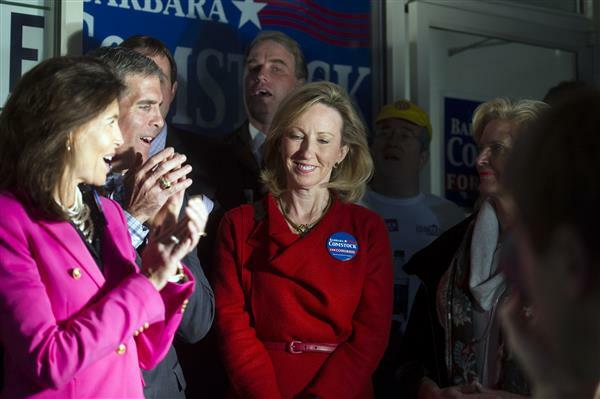 Barbara Comstock — for years the most dogged of investigators into the Clintons — won big in Virginia's 10th Congressional District. She's up 57-39 with 85 percent of the votes in. As a Hill staffer in the 1990s, Comstock teamed with the late Barbara Olson to torment the Clinton White House, spearheading investigations into Whitewater, "travelgate," campaign-finance abuses and more. Now, after a stint in the Virginia House of Delegates, she returns to the Hill as a member. Clintonistas are surely taking notice.